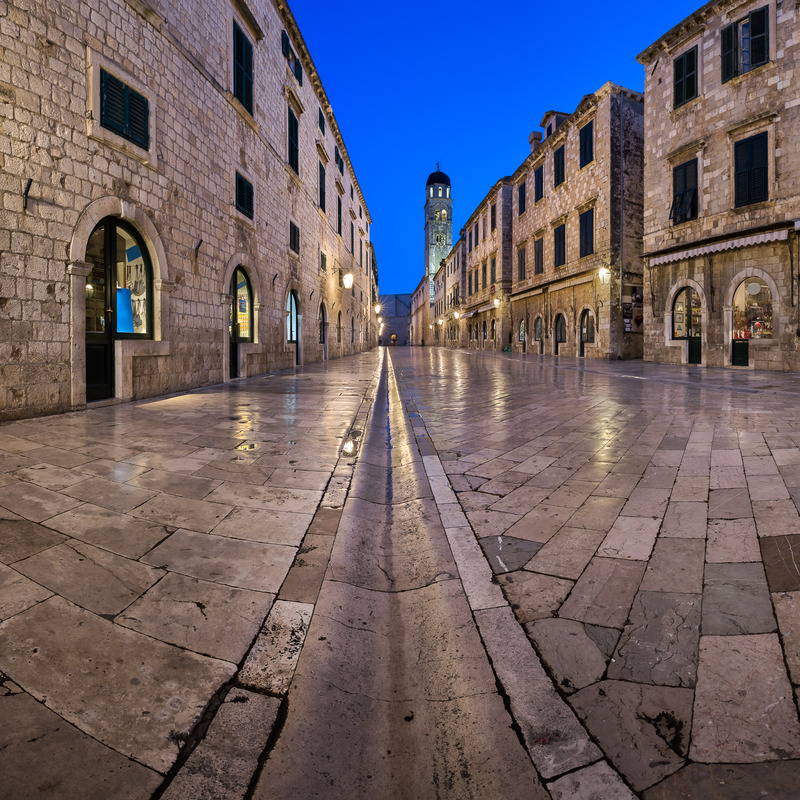 It is hard to imagine on the white cobblestones in Dubrovnik anything could ever go wrong. July 2014, panorama from 3 vertical images, additional exposures for highlights, focal length 16mm, aperture f/11, shutter speed 5 seconds, ISO 100, tripod. Hundreds of years of footsteps polished these stones to a shining glow, but this could have all been changed if it weren’t for a fascinating turn in history. Back in the days when the Venice Republic ruled the seas and surrounding lands, they were conquering cities all over this area. Dubrovnik is one of the few cities in Croatia that somehow managed to maintain its independence from the powerful empire. As I capture this photo at 4:30 am in the morning I ponder how it is possible such a city defies all odds. There is an indescribable presence of Dubrovnik that captures one spirits – whether this is the scenery or story from tour books I cannot tell you. This powerful feeling is what inspired me to use a panoramic technique to capture an ultra wide view. Lowering my tripod to nearly ground level I wanted to capture the cobbled floor and water drain as the main subject of the photo. This created an interesting contrast with the Franciscan Monastery bell tower appearing small when compared to the water ditch in the foreground. The empty town, the angle and the perspective all are in the hopes of delivering the unique Dubrovnik presence to viewers who may not have the luck I do to travel to such a magical place.